IQF fruits and vegetables, polish as well as exotic can be loaded on mixed trucks or containers from one of the warehouses of the Real SA Group in Morszków, Konik Nowy or Klikawa. Our products are being exported to 72 countries all over the world, packed according to customers’ requirements, today representing sales reaching 50,000 tons per year. 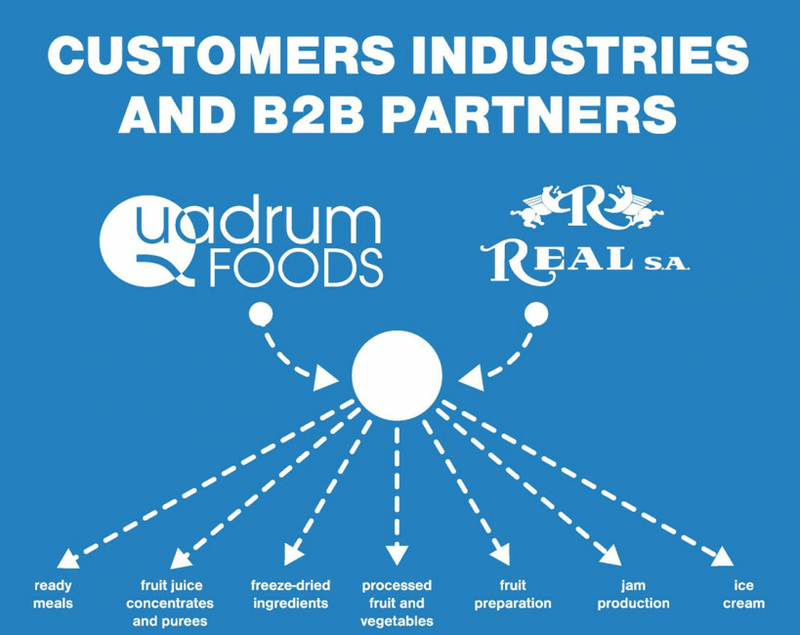 For years we are bound in close business relations and partnership with the Real SA Group. We order production of the goods on our own account in different countries to bring it to our stock in Poland and supply numerous destinations all over the Europe as well as in South & North America, Africa, Asia and Oceania. The majority of our sales contracts are based on monthly or yearly delivery periods. Whereby we provide our customers with the required quality and maximum continuity of product availability, stocked for your convenience and waiting to be called off.